Let’s face it – not every trail-ready SUV is a premium luxury vehicle. Between bare-bones performance models and the less-than-satisfying but comfortable options out there, it’s easy to see why so many think “comfort” and “power” are mutually exclusive. But as with all things, this has started to change – and thanks to Jeep, it’s changing for the better. 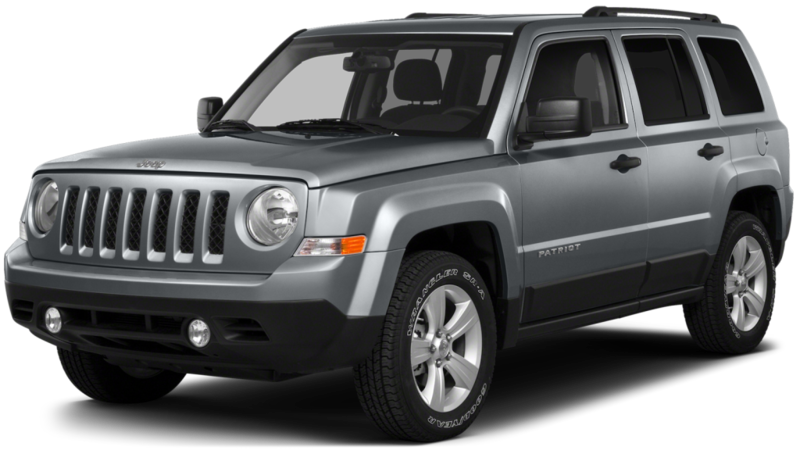 Just take a look at the new 2016 Jeep Patriot, one seriously decked-out premium model that still packs enough power to take on even the toughest trails out there. Whether you’re cruising along city avenues or taking on the Moab, there’s just about nothing the 2016 Patriot can’t do – and for off-road drivers out there, this means some serious fun in the future. That’s because the 2016 Patriot features some of today’s top amenities and premium features mixed in seamlessly with all the rock-climbing and mud-sloshing power you expect from a quality Jeep vehicle. Boasting some of today’s top tech, a design and cockpit built to both keep you comfortable and turn heads, and trail-rated performance ready to take on the toughest of what nature can throw at you, the 2016 Patriot is quite possibly the Jeep you’ve always been waiting for. Whether you’re a casual off-roader looking for a vehicle that’s as good in the city as it is in the dirt, or you’re a dedicated trail-climber looking for a little extra class to add to your adventures, there’s a little something for everybody in the new Patriot. When it comes to Jeep vehicles, you can always expect excellent performance both on- and off-road - and the 2016 Patriot is certainly no exception. Boasting powerful engine options to match finely-tuned off-road capabilities, the Patriot provides one power-packed ride that's ready to handle even the most challenging terrain with no problem at all. Simply put, this Jeep lives up to its nameplate with flying colors no matter where you take it - it's the Jeep way. Looking to power through those tough trails with efficiency that's nearly unmatched by any other trail-rated SUV? You're in luck - the 2016 Patriot comes fully-loaded with a powerful standard 2.0-liter Dual VVT World Engine, which boasts an impressive 158 horsepower and 141 lb.-ft of torque while still maintaining an astounding 30 miles per gallon highway along the way. This means you and your Patriot will be able to power through up to 400 miles on a single tank without a single stop to fill up - bringing you on more adventures without burning into your wallet along the way. Of course, those looking to pump up the power might choose the available 2.4-liter Dual VVT World Engine, which comes mated to a smooth-shifting six-speed automatic transmission and pumps out up to 172 horsepower and 165 lb.-ft of torque for trail-busting power no matter where you find yourself. An efficiency-centered construction allows for up to 28 mies per gallon highway, and the high-torque performance allows for a max towing capacity of up to 2,000 lbs. - meaning you'll be able to bring all your best outdoor gear with you wherever you roam. Want a truly Trail-Rated SUV at a price that can't be beat? Look no further than the Patriot, which comes standard with the Freedom Drive I 4x4 package, a powerful combination of off-road ready features like active, full-time 4x4 capability with Brake Traction Control and selectable LOCK mode to help you take on even the steepest inclines in the worst conditions with total confidence. The Freedom Drive I package also features Electronically Controlled Coupling which monitors wheel slippage and automatically transfers torque to whichever axle can use it most. And in tough conditions, the coupling can be locked 50/50 between the front and the rear for added low-speed control and capability. Of course, those who can settle for no less than the best off-roading might want to choose the available Freedom Drive II package, which takes all the benefits of Freedom Drive I and adds extra features like a selectable locking Off-Road mode with Hill Descent Control, grade-sensing features, and a boosted crawl ratio to help your Patriot conquer even the most intense conditions, while torque is adjusted for extra control and efficiency on demand when not in low-speed LOCK mode for added capabilities. All this combined means your Patriot can take on deep snow, mud, and up to 19 inches of water with total confidence - and it all comes proudly bearing Jeep's Trail-Rated Badge to prove just how powerful it really is. While everybody might know just how powerful and capable todays Jeeps are, almost nobody expects such an impressive off-roader to also pack some of the most cutting-edge exterior design elements, complemented by some of the most comfortable interior features that exist today. The 2016 Patriot seems to defy all expectations in this way, bringing a touch of elegance and class to match the raw power we've all come to expect from the Jeep brand. Take one look at the new Patriot and you'll see just how far the exterior has come since the early days of the classic Jeep Willy. Instead of a bare-bones metal frame, the Patriot bears a sleek and sophisticated design marked by a wide, strong stance and smooth, flowing lines along the profile, and the classic seven-slot grille with a body-color front fascia to add that touch of modernity to this classic nameplate. Halogen headlamps and fog lamps, available roof rails, and a striking bright exhaust tip all bring an extra bit of style to your Patriot to turn heads and impress neighbors wherever you bring it. Looking to really kick back in comfort while tackling those monster trails? You might want to opt for the available McKinley leather upholstery to add that extra bit of comfort to your ride-ready Patriot. Plus, features like heated front seats, available illuminated cupholders, steering-wheel mounted controls, available Automatic Temperature Control, a power sunroof, and even a flip-down liftgate speaker all bring a comfortable convenience to the Patriot that's hard to find in such a capable SUV. Whether you're a dedicated music fan or simply worried about the safety of your most precious cargo - your passengers - the 2016 Patriot brings some of today's most advanced tech to really make your ride something special. Perhaps you're more enthralled by the Radio 430 Nav, an impressive modern system complete with everything from navigation to USB inputs to a one-year subscription to Sirius satellite radio. Control everything from the handy 6.5-inch color touchscreen and enjoy concert-quality acoustics thanks to the available 9-speaker Boston Acoustics premium sound system. Whatever your choice, you're bound to find something to enjoy in the new Patriot - and your passengers will definitely thank you. Never drive with fear of the unexpected again thanks to six advanced airbags, Electronic Stability Control, a Brake Assist System, and Electronic Roll Mitigation - all of which help you take on the trail with the security of modern safety tech standard in your Patriot. And with added bonuses like Sentry Key Theft Deterrent to keep your Patriot exactly where you left it while you're away, you can stay confident knowing your Jeep is built to keep you and your passengers safe. You’ve learned what it can do and what it brings to the table – and now it’s time to see the 2016 Patriot for yourself. When the time comes, there’s no better way to get connected than through The Faricy Boys, Colorado’s premier Jeep dealer with years of experience helping drivers find the perfect Jeep for them. Whether you’re a longtime Jeeper or new to the lifestyle, the Faricy Boys can help you find the Patriot that’s right for your lifestyle – meaning you’ll be one step closer to conquering those mountains in your next beloved Jeep.